Praise of Folly was written by Erasmus when he was ill for a few days. It got a bit tweaked and published, even though Erasmus himself thought it wasn’t very good. 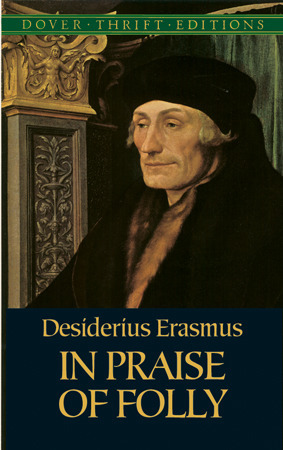 I read this book in Dutch, as Erasmus himself was a Dutch person even though he wrote Praise of Folly in Latin. I haven’t had this hard a time to get through a book in ages. I’m not sure what the problem is – maybe it’s the subject matter. I had a hard time caring for Folly’s ideas and the constant grating on one part of society or another. All philosophers are fools. We get it, Erasmus. I can see why this book was important in its time, but I think it’s almost unreadable unless you’re familiar with the entire Bible and with everything that has been written in Antiquity. I’m not, so sadly all of his metaphors completely went over my head.